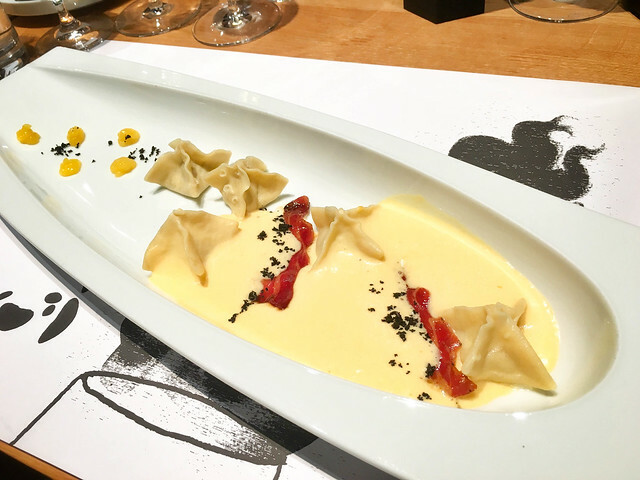 Though it may seem like a small area, there are a surprising amount of things to do in Istria which is why we recommend spending at least a week in the area. If you are keen to have some relaxation time by the warm Adriatic waters while also being able to get the most out of all the activities and sites that Istria has to offer, one week is the perfect amount of time. If you want to see how locals shop outside of the international supermarket chains, then head to the Pula market. Though there are some stalls that are catered toward tourists hawking kitschy souvenirs that could be found anywhere, there are also booths selling authentic local produce at great prices and fresh seasonal fruits and vegetables. There is also an indoor area selling meat and fish, along with an area with a number of great restaurants more catered toward locals than tourists. It is worth noting, however, that the majority of these restaurants are not open for dinner. All in all, a visit to the Pula market is a great way to stock up on some unique mementoes from your trip to Istria. A unique museum in the city centre, the House of Istrian Olive Oil is a great place to visit in Pula. Outlining the history of olive oil in Istria throughout the centuries, this museum gives great insight into the significance that olive oil has had on Istria from the ancient Romans to the present day. There is also an opportunity to include a guided tasting of some great Istrian olive oils and we highly recommend it. There are three tiers of tickets available, one is for museum entry only, one is for the “Green” olive oil tasting which gives a basic presentation about how to taste the oil and a couple of samples, and the last is for the “Gold” tasting which includes everything in the “Green” option plus five more oils to taste and a dessert. 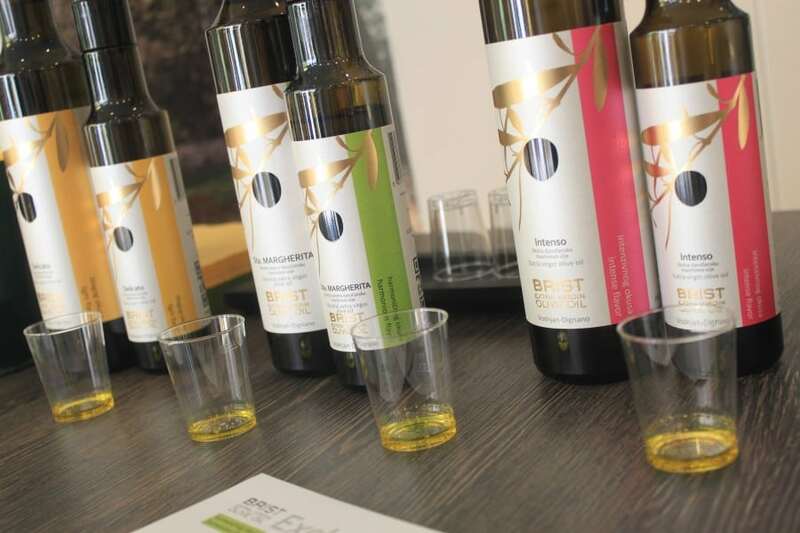 We recommend doing the “Gold” tasting if you are really interested in the qualities of Istrian olive oil. If you want another casual eatery with a great outdoor seating area, look no further than Jupiter Pizza. 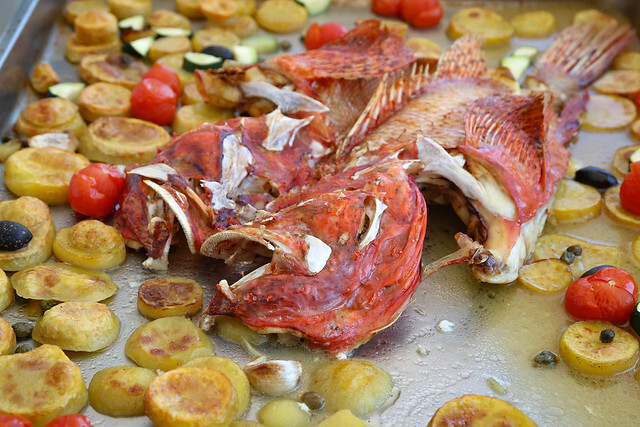 Located close to the arena, this place not only serves fantastic pizza but also some Balkan strongholds like cevapi and plijescavica along with freshly caught, local seafood. 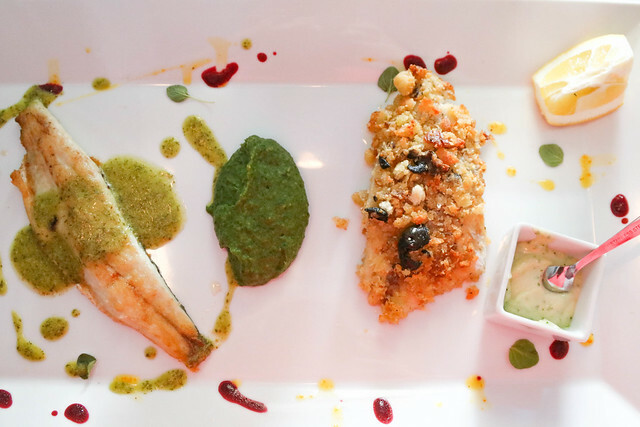 Located on the main drag in Pula, Hook and Cook is a popular casual seafood joint. They have a small menu, however, the quality of the fish is fantastic and they have some unique ingredients and presentation. 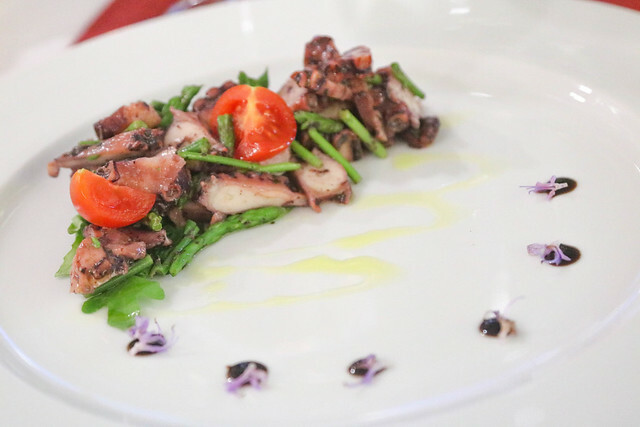 Located close to the Pula market, Kantina is a great option if you’re keen to sample some of the best seafood Istria has to offer. 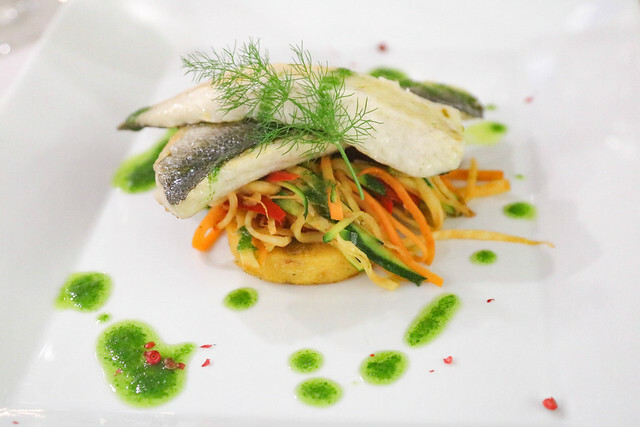 Prices are affordable and the menu is extensive, serving up a lot of local favourites. 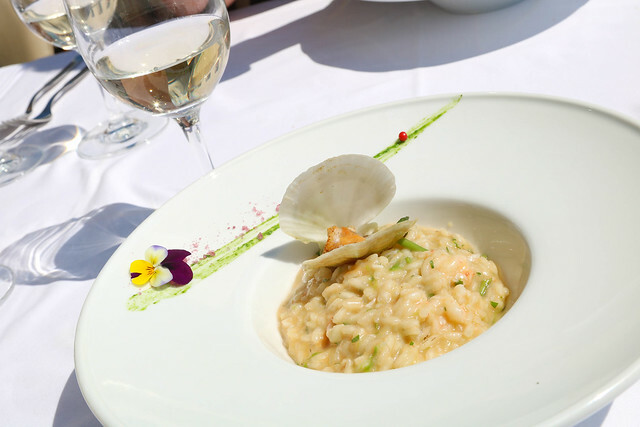 The peninsula of Istria is nestled in the Adriatic Sea so it’s no wonder that seafood features so prominently in its cuisine. 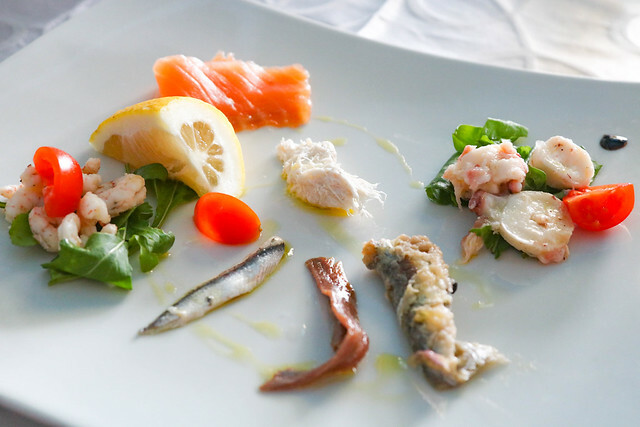 The best seafood I’ve had in Istria is fresh oysters (from Lim Fjord), crab claws, grilled fish, sardines and octopus. Some of these delights are seasonal, but if you visit in the spring (April or May) you can have all of the above. 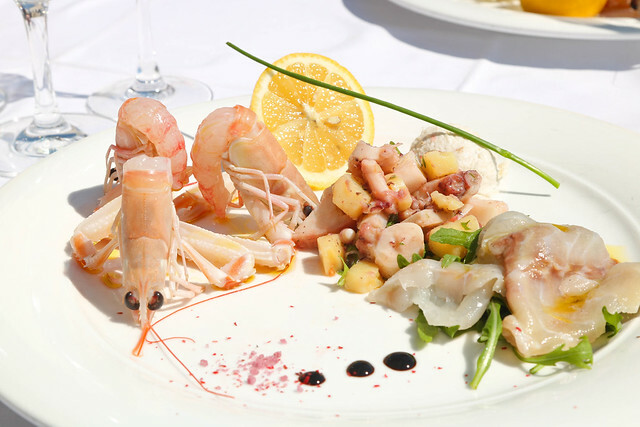 The quality and freshness of Istrian seafood is top-notch. 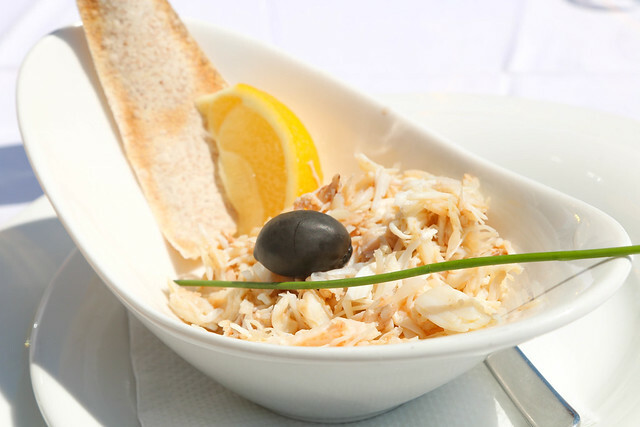 Crab claw – one of my favorite dishes! 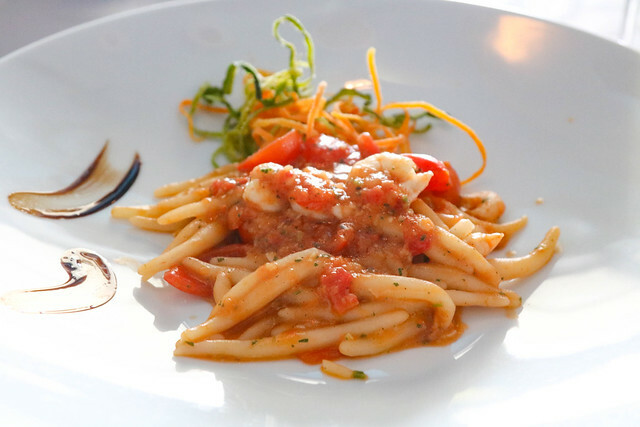 Although seafood is the star of Istrian meat, there are some great alternatives, especially further inland. 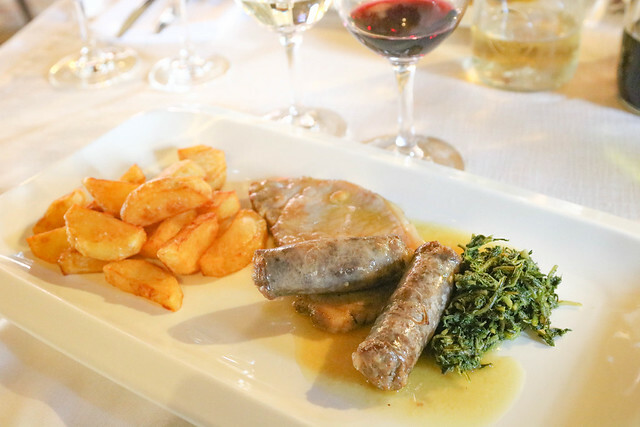 While poultry isn’t a major hit in Istria, there’s a wide range of pork, sausages and Istrian ox, also known as boskarin. The sausages (the non-fried) are fat, well seasoned and flavored – they go well with wine and cheese! 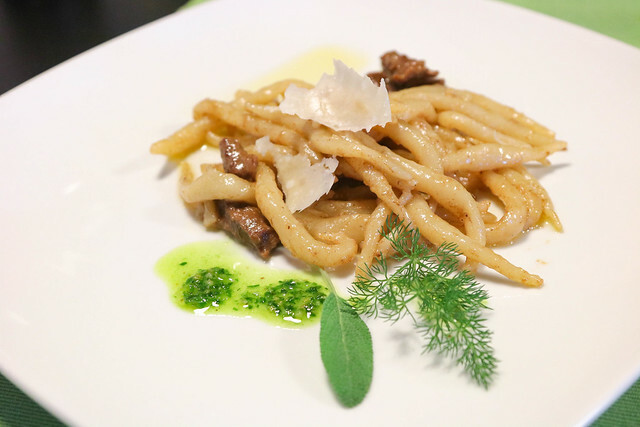 Ah, home cooked Adriatic pasta. 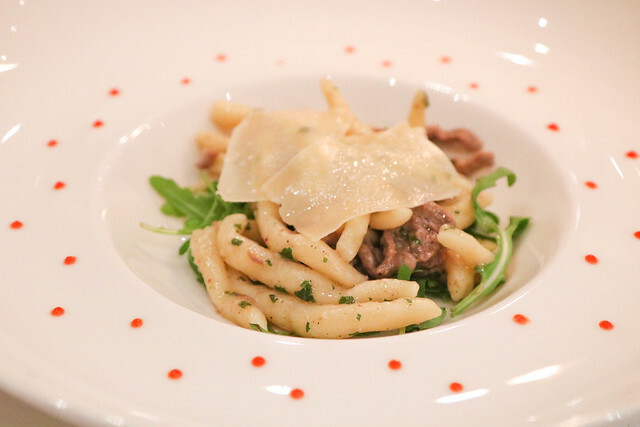 Forget about calories and the low-nutritious stuff you buy at the store, because this pasta is amazing. 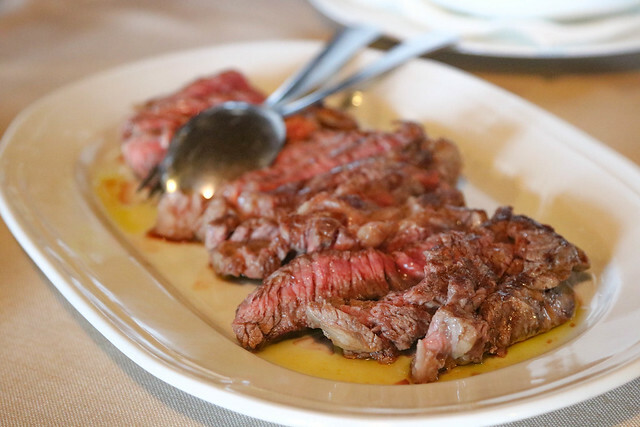 It has a different consistency than the dry variety, and it’s more filling and substantial thanks to the texture. 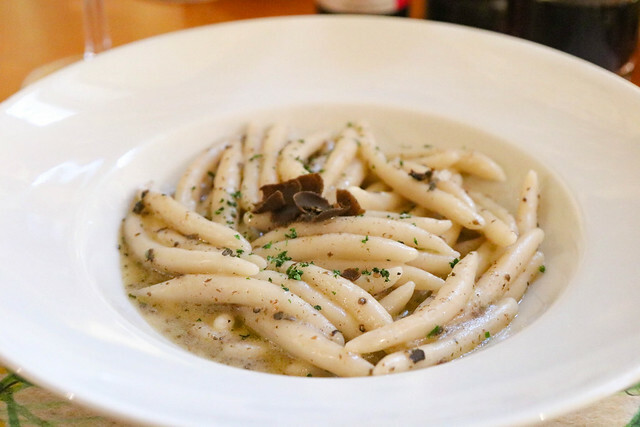 Home-cooked Istrian pasta has a life of its own and you can easily eat it with just truffles or herbs, although it does taste heavenly with Istrian ox or shell-fish. 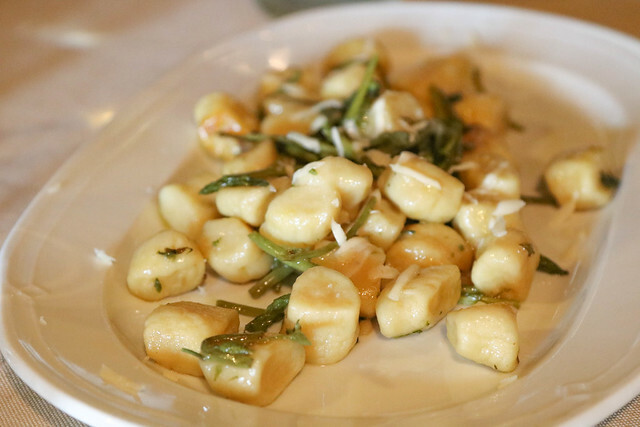 Food in Istria is inspired by Italian cuisine so you’ll see plenty of gnocchi and risotto on the menu. 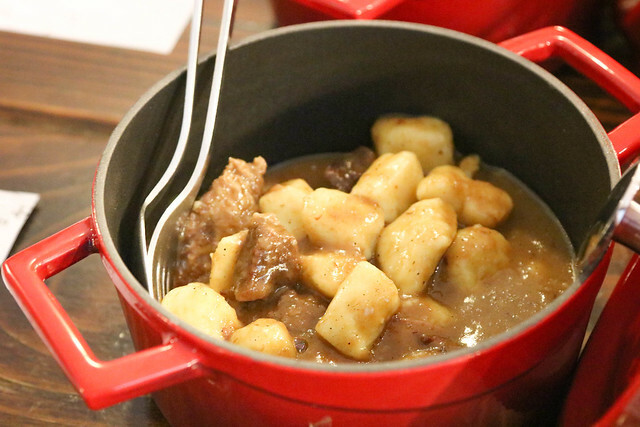 A local variation of gnocchi is stew with meat, which I highly recommend. Did you know that Istrian olive oil is often awarded as being one of the best olive oils in the world? I can honestly say that after tasting it, I bought three bottles. There’s something about the taste; it tastes like freshly cut grass and has a peppery finish.